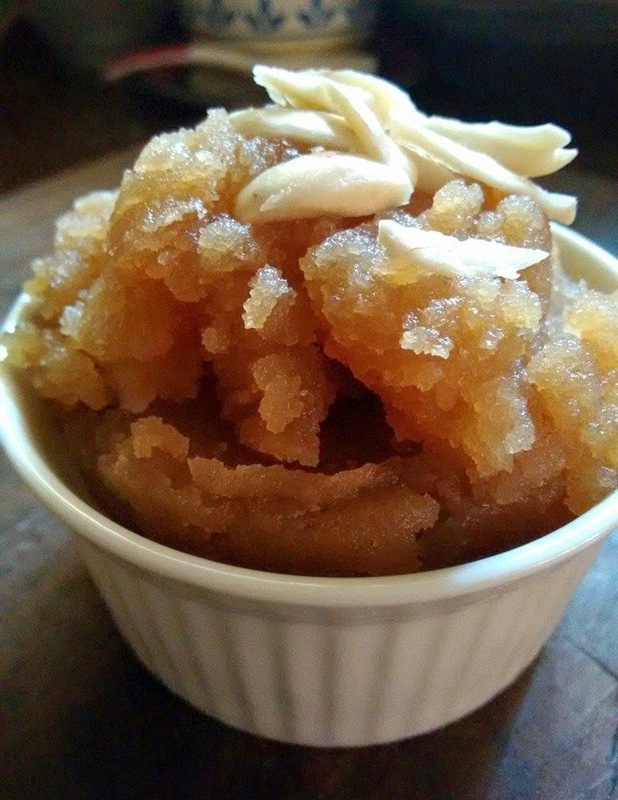 Vrat sweets and desserts are quite delicious and easy to prepare.It is also a time for feasting as much as it is a time to fast. One such is the sama flour halva/samo/ Millets flour / Barnyard millets flour. You can use the whole grain or the fine flour, as I had no grain form I used the flour which a bit darker on roasting. 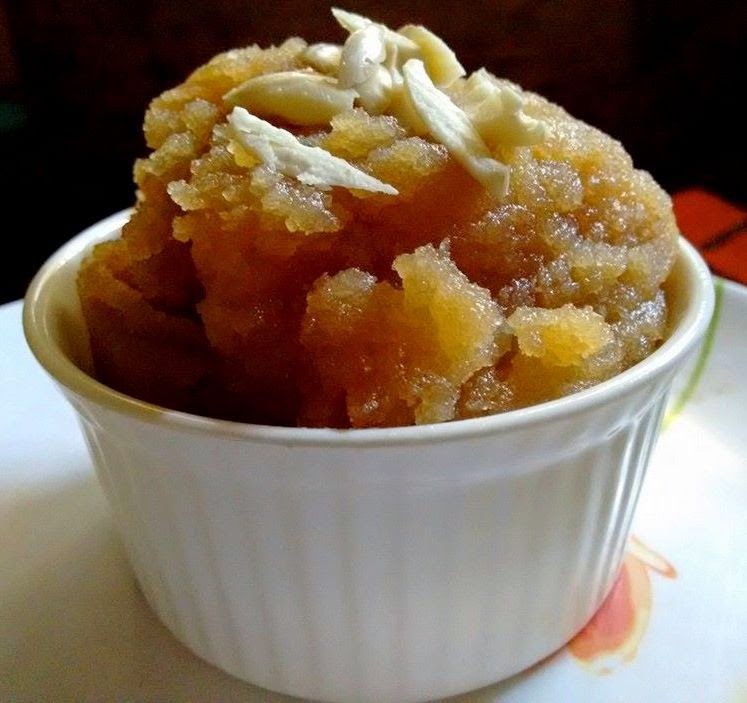 You can also make yummy sheera out of this flour or grain. Barn yard millets are called by othe names like sama, samvat, morio, moraiyo, kuthiraivali, Jhangora varai. Take a deep pan ( non stick if possible ), add the ghee, first roast the cashewnuts and raisins, remove and keep aside. Add the flavors , almonds, cashewnuts, raisins, cardamom powder. Keep mixture till it thickens to halva consistency. Remove and serve. Easy wasnt it? It comes even quicker in a micro wave . 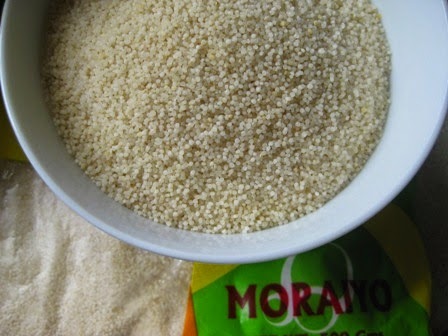 Barnyard millets/Sanwa rice one of the preferred grains or flour during fasting is easily digestible and nutritious too. It is a great source of fibre,energy, B complex vitamins,with good amount of iron and magnesium. Go for oragnic sanwa flour or grain, as the sanwa hull has major nutrients,the sanwa plant is high in fibre, iron and protein. So make nutritious sanwa halwa, kheer, sheera, sanwa khichdi, sanwa idlis or sanwa dhoklas and make your Navarathri fasting healthy one too. Samo rice is also known as vrat ka chawal, a kind of millet similar to barley. It is whitefish cream in colour and tastes like broken rice, thicker than rava , smaller than daliya. It contains good amount of carbohydrates, proteins and fats.